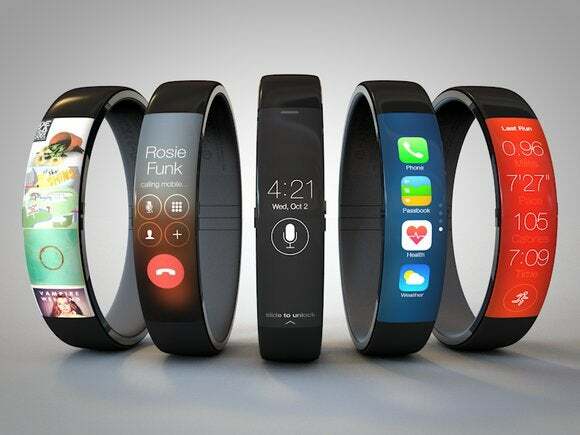 Will Apple's iWatch be smart or dumb? The iWatch will be beautifully stylish and expensive, but will it use a smart microprocessor or a dumb microcontroller? There’s no need to re-examine Apple’s ability to sell to consumers; it’s a given. Throughout Apple’s history, it has drawn from big ideas that aren’t yet mainstream and applied great design, big marketing budgets, and precision timing to turn these ideas into big, profitable product categories. The smartwatch could soon find itself in Apple’s playbook alongside the iPod, iPhone, and iPad. Looking back at the smartwatches and activity trackers built by others begs the question -- will the iWatch be a smart microprocessor-based device to which Apple’s developers can add value, like Android Wear watches from Samsung, LG, and Motorola? Or will it be a dumb-but-power-efficient microcontroller device like the Fitbit or Jawbone? A stripped-down iOS 8 software stack could run on the iWatch, but probably not because it would be a strain on the battery. Apple has not been committed to a single OS. The iPod’s OS is based on a software stack called PortalPlayer; iOS is a version of FreeBSD Unix acquired with Steve Job’s company Next pared down to run on a phone; and OS X is a descendent of FreeBSD. It will likely have an iOS UI feel to it, but it’s a good bet that the iWatch will run a much smaller, embedded OS that is generous to battery efficiency but inaccessible to developers. The iWatch will likely be made smart with sensors, giving it features that differentiate it other wearables, like an accurate heart rate monitor. Although every Android Wear watch claims to be a heart rate monitor, they don’t work well in fitness apps. The only way for a serious or weekend athlete to measure heart rate accurately is with a chest strap. There are rumored emerging optical sensors that read blood flow to improve accuracy in heart rate measurements, one of which is reportedly secretly under development by Intel and the other by a stealth-mode Massachusetts venture. Blood oxygen levels, a measure of fitness and metabolism, also might be read by a custom sensor on the iWatch, a feature that would require a novel sensor that either directly measures or interpolates the oxygen diluted in the blood. The technique, which currently uses a finger clip in medical applications, is called pulse oximetry and tends to work well for subjects measured at rest but becomes less accurate when the subject is active. Apple may have a better sensor that can measure blood oxygen levels when the subject is active. Rueters reported earlier this year that Apple was recruiting medical technology executives. Apple may have also acquired the oximetry know-how to deliver a breakthrough. Apple also has prodigious supply chain skills that drive down its costs while maintaining quality. A relevant example is Apple’s impact on the entire humidity sensor market when it chose to add humidity sensors to iPhones to eliminate warranty claims on devices damaged by water. Apple bought so many humidity sensors that it substantially drove down prices. Apple could easily do the same for any health and fitness sensors that might be ordinarily be eliminated from a smartwatch or fitness tracker because of cost. The only sure bets are that the iWatch will tell time and that it will be an attractive fashion accessory, but if Apple is going to make any noise in the market, it’s going to have to do something big.